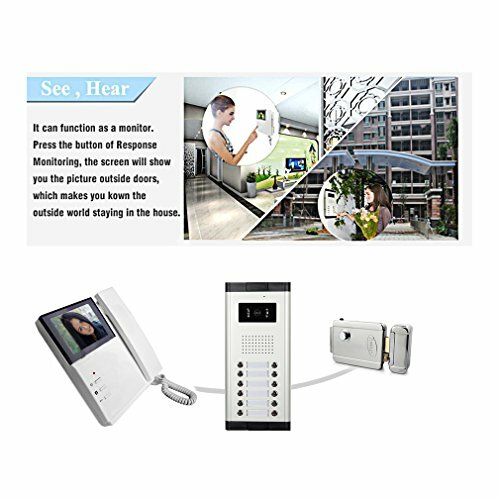 1 camera and 6pcs LCD color monitor, supporting 1 building which has 6 households.You can see and hear before you're at the door. 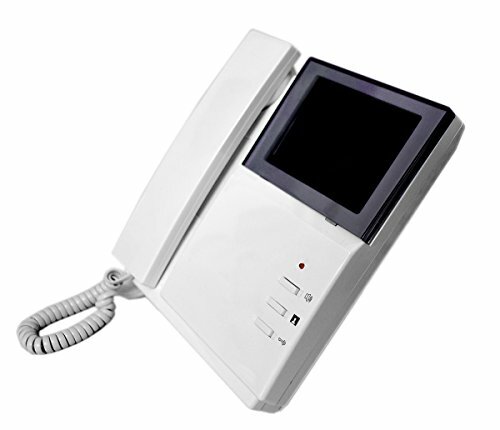 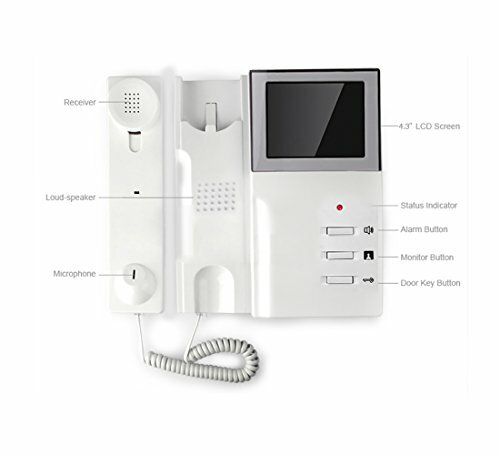 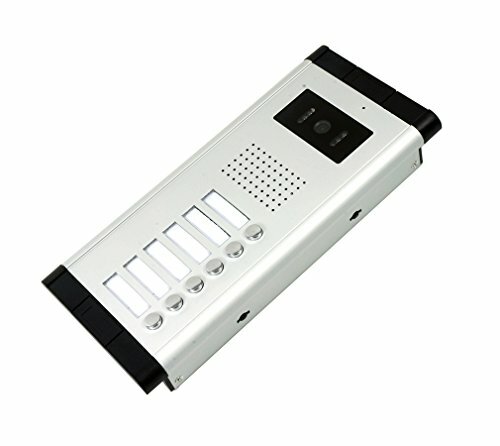 6 Units Apartment wired Audio/Video Doorbell Answering System for Apartment villa. 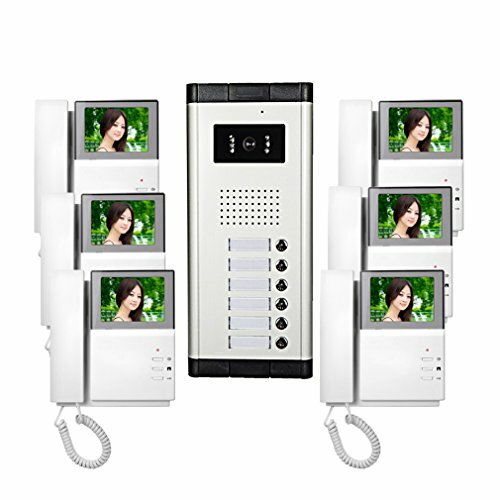 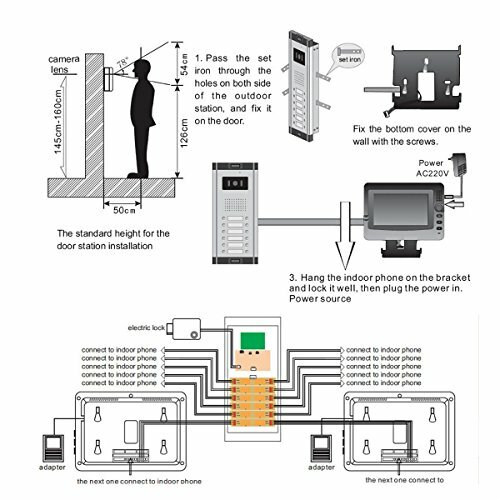 The system has 1 doorbell and 6 monitors, work for 6 Units apartment,1 call button for 1 monitor. 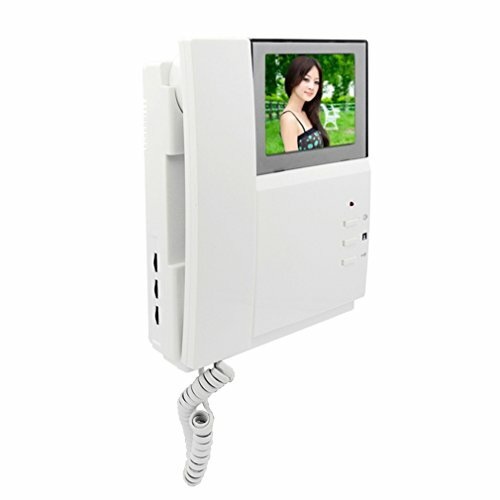 The display image is very clear with 4.3" high resolution colourful TFT LCD and IR camera,Which will enable you to see clearly who is at the door. 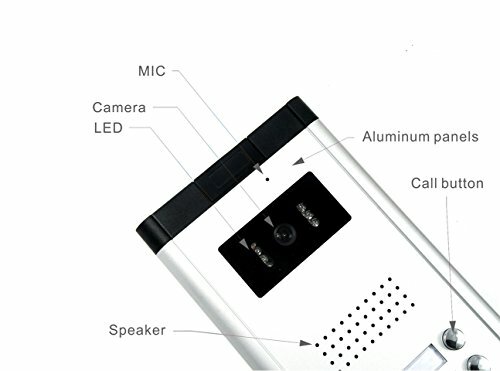 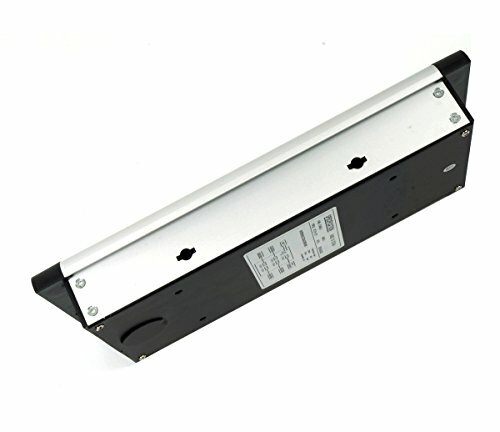 Easy installation and reliable,its appearance is beautiful.